In this Episode I share a few of my tips, suggestions and facts I’ve recently learned on how to open an ebay store. As I finally got myself organized and opened mine this weekend! Permission To Hustle is a Facebook Group also created by Audrey McClelland and Vera Sweeney. If you feel as though you are a woman on a mission, want to be that woman and/or surround yourself with like minded professionals, this my friends is a must join group! I have met so many inspirational and motivational women since becoming a member. It’s a place I now visit daily. Everyone’s “hustle” is so different but we all have one common bond. It’s fantastic! 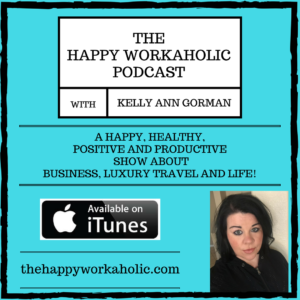 As always tweet your questions to @kellyanngorman and use #thehappyworkaholic so that we can continue this chat after the show and let’s connect on ebay! As always sharing is caring and thank you so much for listening! ← Episode 11: How To Land Your Dream Job!